The style challenge is going a little better this month as I've already visited two local consignment stores and I'm heading to Dublin in a few days to visit another two! First up, it's the turn of Deja Vu on the Lisburn Road in Belfast, where I had the most amazing try on last week. Photo heavy post coming up...I just had to...there was simply tons to try on with lots of amazing labels. Check out their Facebook page to see the latest items coming in and you can contact the girls in the shop via this page also. 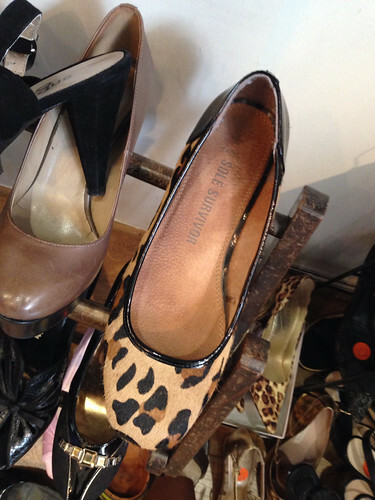 First up, I spotted these leopard pumps as soon as I went through the door - with a small heel and virtually unworn, they simply had to be mine and I'll show them off in my next blog post.. It was into the changing room then with a ton of gorgeous things to try on and the owner, Ruth, kept adding to it with bits she thought would suit me. She really knows her stock and is great at knowing what suits your figure. 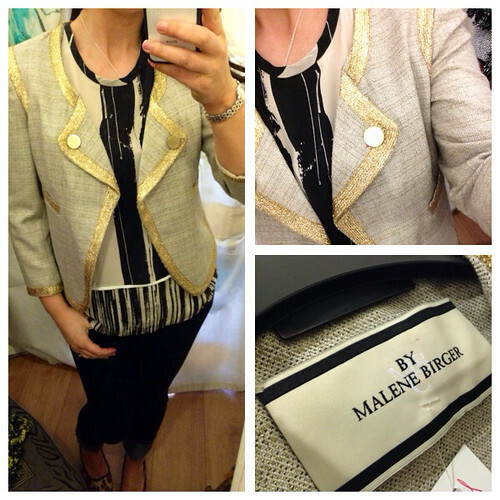 This Malene Birger jacket was love at first sight - just so beautiful, not a mark on it and at a third of its RRP at £100. 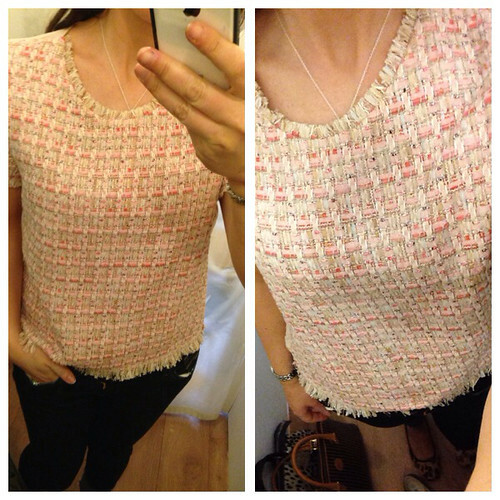 Next up, this Jigsaw top won me over. 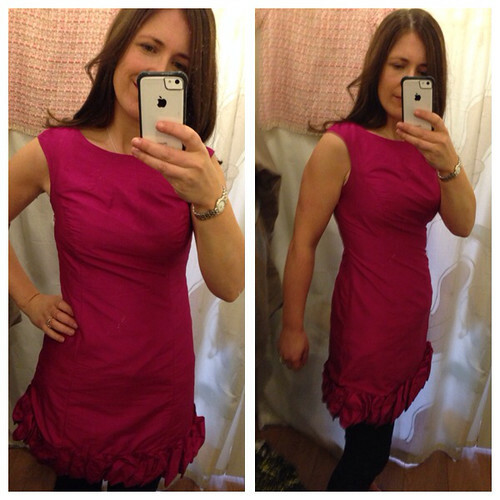 It has a boucle detail on the front and a pale pink silk back. It was £38. I can't remember the brand of this jacket but it's a perfect casual navy tweed style jacket. It was just a bit too big for me on the shoulders. 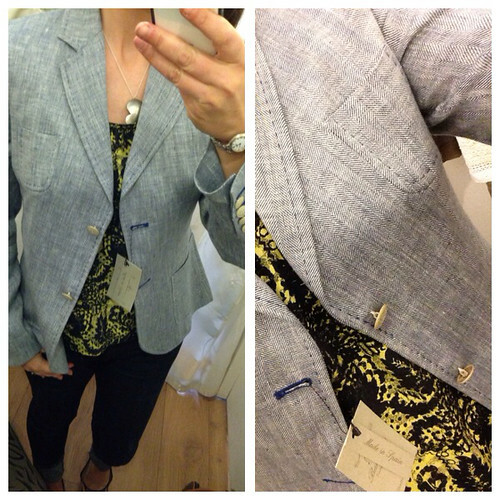 and this chambray coloured jacket is brand new - Ruth gets in quite a bit of new stock...we're all guilty of items in the wardrobe with labels still attached it would appear.. 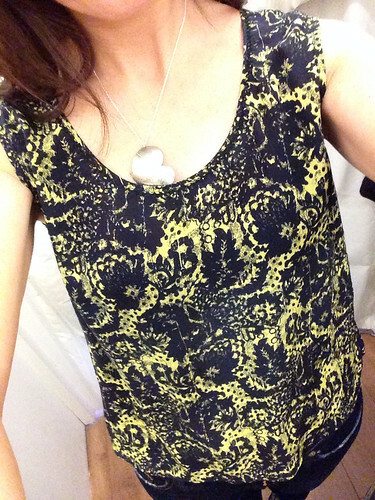 The top I was wearing underneath is another silk Nicole Fahri number - with navy and neon in it. Gorgeous fit. 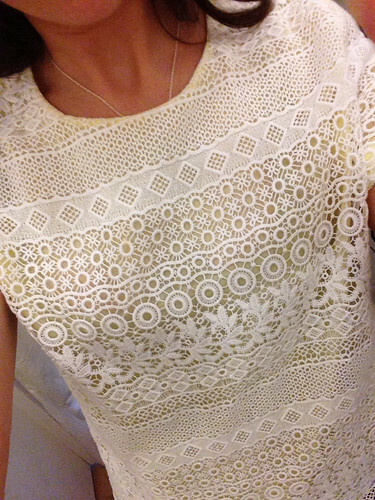 Another love item now - this white cotton lace top by Raoule - with a yellow lining and the labels attached. Had to be mine! 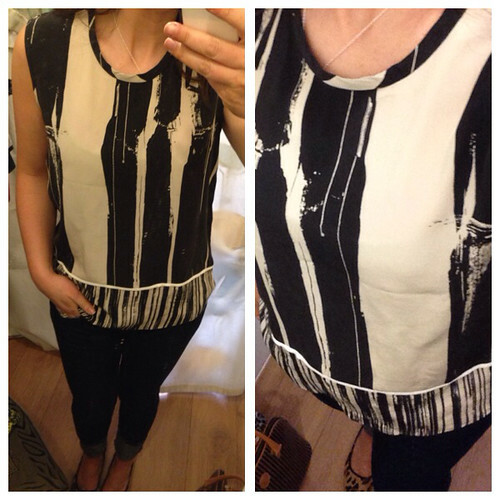 This top is fabulous - talk about an optical illusion! And finally, a couple of occasion dresses. Consignment shops are fantastic for formal occasions and these two dresses would look great at lots of different events. The pink was a little neat and short on me and the green (with labels attached) was a little big but at only £40, it would be worth buying and altering - Ruth knows a great local tailor. So what came home with me? The Leopard shoes and the Raoul & Jigsaw tops. 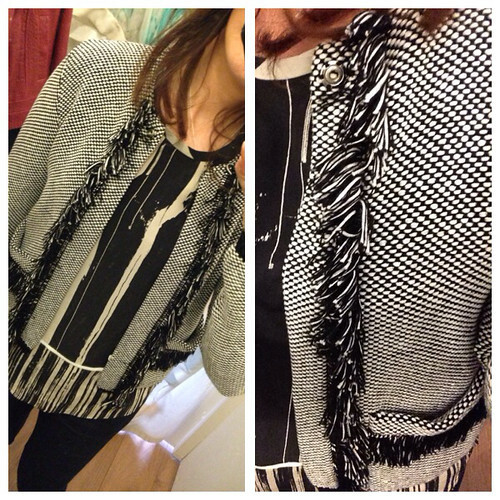 The Malene Birger jacket was a reluctant no. It's a bit dressy for my day to day and I've vowed to only buy stuff I can wear during the day for the next few months. I've tons of going out clothes! Impressive first consignment trip I reckon...I really was pleasantly surprised at the quality, labels and prices. Now to see if the other stores I visited can live up to it. 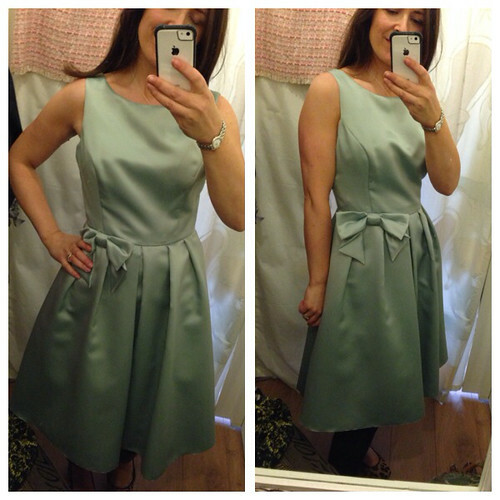 Do let me know if you've been consignment shopping too and if you've blogged about it, add the link to your comment! 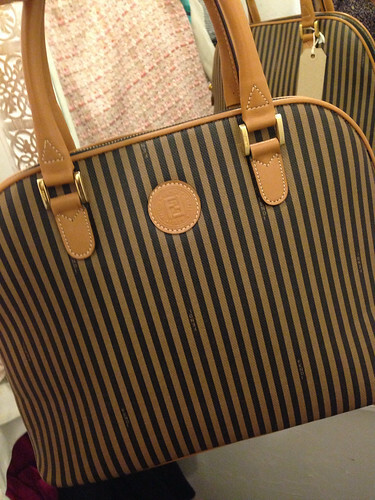 I love consignment shopping and finding items that usually would be WAY out of my budget for a steal. Absolutely LOVE your buys Avril! I used to go to Deja Vu all the time & haven't been for years - must pop in soon! This shops look like proper little treasure trove!! They have some fantastic labels and you have bagged yourself some amazing pieces from them! I love the Nicole Fahri navy and neon top......I will be checking them out on FB! I love the leopard heels and the tops are really cool! 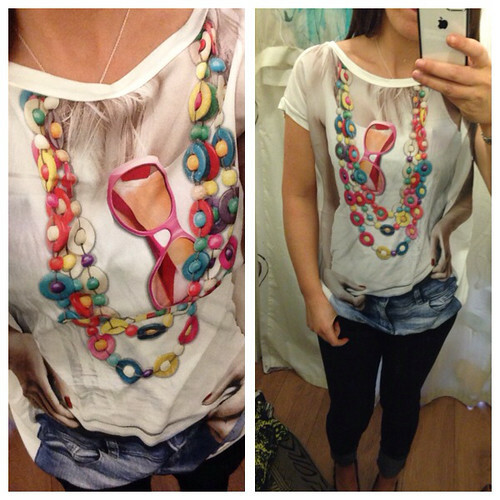 I think consignment shopping is such a great idea and you can come across some amazing pieces! Fabulous! Haven't been into déjà vu for ages but I'll have to put that right ASAP!